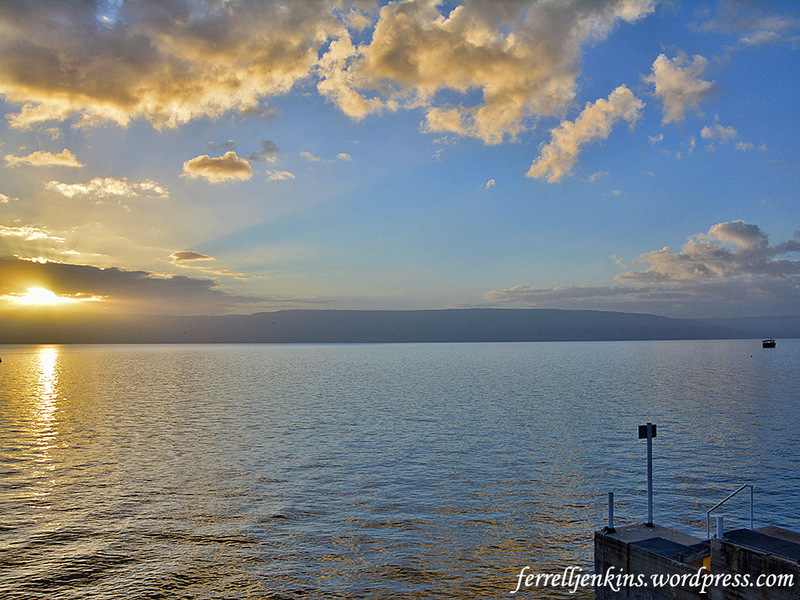 Those who have followed this blog for any length of time have probably seen several of my sunrise photos on the Sea of Galilee. We often stay at the Ron Beach Hotel which is situated on the west shore of the Sea on the north side of Tiberias. Sometimes I have been able to capture some great shots from my room. Yesterday, however, was one of those days when the was hidden from us by low, heavy clouds. This morning there were low clouds on the eastern horizon. The sun only occasionally peeked through, but this did not affect the reflection of the sun on the clouds above. When I realized what was happening I moved my camera to place the sun on the left side of my image in order to show the beautiful sky and clouds. I thought you might enjoy seeing this different sort of image. Sunrise on the Sea of Galilee, March 25, 2018. Photo by Ferrell Jenkins. Click on the image for a larger image. Tonight Leon Mauldin and I are on the Dead Sea at Ein Bokek. This entry was posted in Bible Places, Bible Study, blog, Israel, New Testament, Travel and tagged Ministry of Jesus. Bookmark the permalink. What hotel do you typically use in Ein Bokek? You can almost feel a divine presence in that sunrise that reflects over the water.. beautiful! Beautiful.. I love how God paints the sky..